Large format scanning, copies and printing | SG Printing Inc. When you need to produce print products on a large scale such as blueprints, architectural plans, maps, posters or banners you can count on our quick and economic service. We can print anything you need up to 36” wide in black and white or full colour either from a scan of your item or digitally from a pdf file. 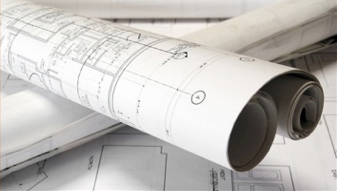 Blue Prints need to be clear and accurate to enable construction to go smoothly. SG Printing has the equipment to provide you with well-defined blue prints up to 36” wide. Anything up to 36" wide reproduced quickly and economically. We can scan full colour or black & white up to 36" wide converted and saved to pdf files.